I’ve been thinking in lists as I walk around Nunavut’s capital, Iqaluit, so here’s my top five list of amazing things in this city of roughly 8,000. But for each of these five amazing things there’s a shadow list of things, which make the Iqaluit of today an un-amazing place and on its way to becoming a mini-Yellowknife, with its clash of prosperity, commercialism and poverty. A $40-million facility with a huge draw. And that’s no surprise: Kids frolic around in the children’s pool. Teens slide down the big yellow slide, and when you do laps, you can watch the snow whipping around outside. 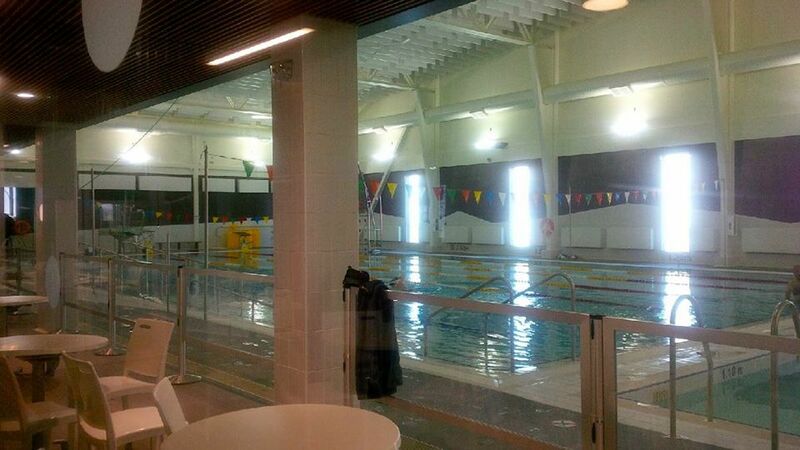 If that’s not enough there’s a full fitness centre. 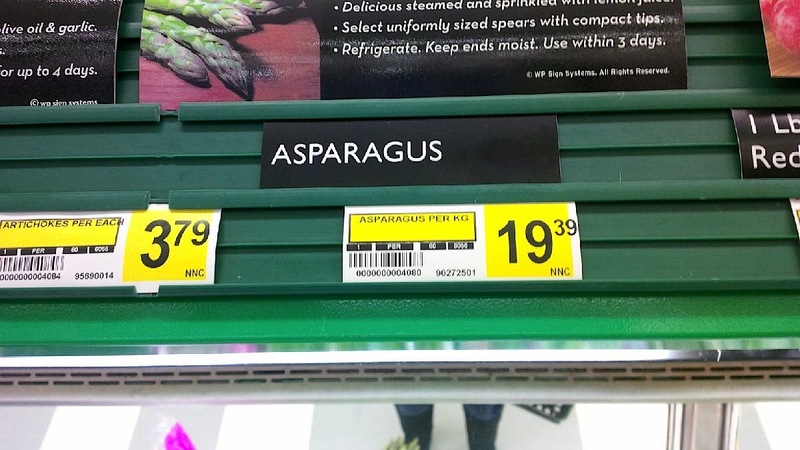 Before you could only reliably find onions and carrots in Iqaluit stores. 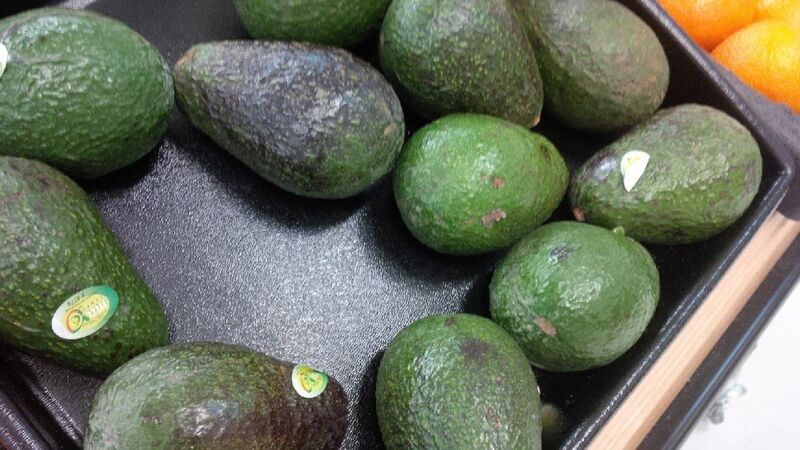 Now you can find a variety of produce, including piles of avocados. This neighbourhood seems to go on forever on a ridge overlooking the city, and a lot of people can’t remember what Iqaluit, whose population is now about three times more than when I first came here, looked like without it. You can text, post to social media and check the weather on your phone. And talk. There’s a shawarma restaurant in town, a mosque, international foods on the store shelves and your neighbour could originally come from the Ivory Coast or the Philippines. When the snow melts, roads fall apart. 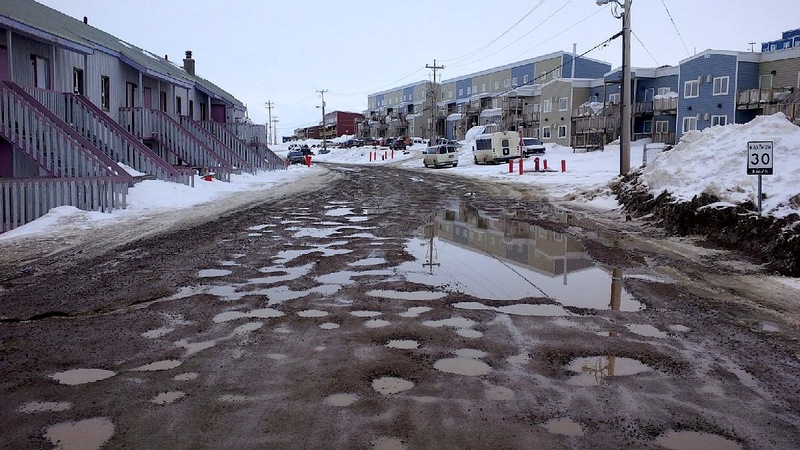 Nearly every road in Iqaluit is unsafe to drive for weeks. Does this look like a capital city in Canada to you? if you don’t know how to cook and you buy food at the grocery store, a full cart will probably cost you $1,000 and you will eat badly, and you won’t buy the government-subsidized avocados which often end up rotting in the stores. And if you don’t have any money, a lot of the time you’ll go hungry. You might be able to rent a room for about $1,000 a month, but a buying a house will set you back by $500,000. 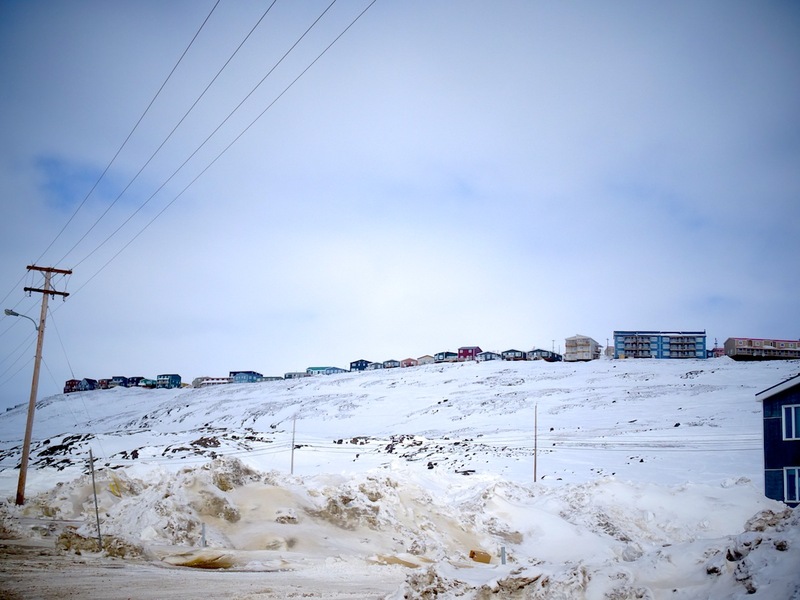 There isn’t enough public housing and visible homelessness, and all the social problems, including violence, addictions, crime that come with these are part of life in Iqaluit. 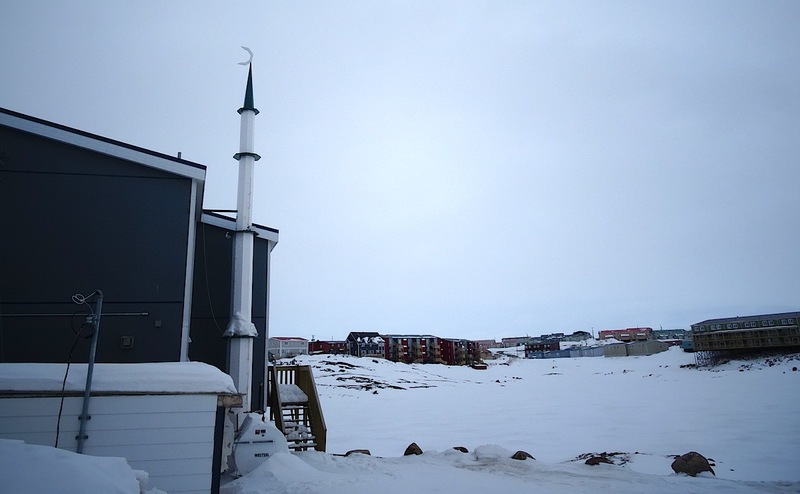 Inuit are the first residents of this place, but they are now in the minority in Iqaluit, and, if they don’t speak English, are likely to feel like a strangers in their own land. As in any place, the things that are most important should be given priority first. Making sure people have food to eat should be given priority of them having a place to swim.